These Handbell Folders, with their unique design, are made to independently hold music with or without a music stand. For tabletop operation, the bottom half of the binder swings back when open while the rings stay straight for easy reading. 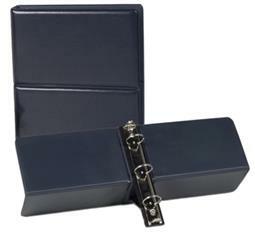 Used mainly for handbells, these binders are ideal for any sheet music where a stand may not be available. They measure 11 1/2" x 10 1/2" (from inner ring to side edge) with 1 1/2" Ring Capacity. Will accomodate music measuring 8 1/2" x 11"